Current List of Each State’s E-Discovery Rules. 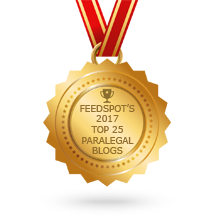 ≈ Comments Off on Current List of Each State’s E-Discovery Rules. More and more states are adopting statutes and court rules addressing the discovery of electronically stored information. Here is a current list with links to the relevant provisions. Please note also that many judges have created their own forms or have crafted their own preferred protocols for e-discovery. These are generally available on the website of the individual judge and care should be taken to ensure you are aware of any such forms or guidelines in any court you may appear in. . . .
Changes to Federal Rules Effective December 1, 2014. ≈ Comments Off on Changes to Federal Rules Effective December 1, 2014. Appellate Procedure Resource Guide for State Courts. ≈ Comments Off on Appellate Procedure Resource Guide for State Courts. The most common structure for a state appellate court system involves one court of last resort with largely discretionary review, commonly called a supreme court, and one intermediate appellate court with largely mandatory review. Because of this jurisdiction, the intermediate appellate court is the court of final review for the vast majority of state court appeals. Ten states are without an intermediate appellate court. Various combinations based on mandatory versus discretionary jurisdiction, size of the courts, use of panels, geographical divisions, and division between criminal and civil jurisdiction by court exist in the state appellate systems. The Legal Writing Debate on Footnotes Continues. ≈ Comments Off on The Legal Writing Debate on Footnotes Continues. 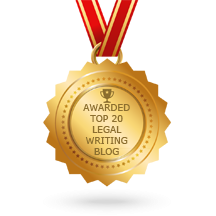 Who would have thought that, for over 13 years now, the most controversial subject among litigation-oriented legal writers would be the location of legal citations in footnotes versus in text? Back in the spring of 2001, a judge in an intermediate Louisiana appellate court, in writing the majority’s opinion in a case, put her legal citations in footnotes. This drew a concurring opinion from the chief judge (withdrawn before final publication), agreeing with the result but objecting to the use of footnotes for citations. So the author wrote her own concurring opinion defending her use of footnotes. The case is Ledet v. Seasafe, Inc., 783 So. 2d 611 (La. App. 3 Cir. 2001). The controversy stirred up by Ledet caught the attention of the New York Times. Here is my own little casenote on Ledet. Fast-forward 13 years. Bryan Garner writes an article for the ABA Journal recommending the use of footnotes for legal citations—a position he’s held since I took my first Garner seminar in 1998. His fellow Texans Rich Phillips and Jason Steed write blog posts begging to differ. Different decade, pretty much the same debate.